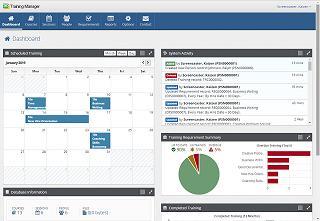 Training Manager Web Edition is a web-based Training Records Software for managing your company's Employee Training Records. Manage your company's training records from any web browser. Set up required training; Add completed training; Monitor status reports for training gaps; Manage training documents, Track training costs, and more. Asset Manager Web Edition is a web-based Asset Management Software for tracking your company's Fixed Assets. Manage your company's assets from any web browser. 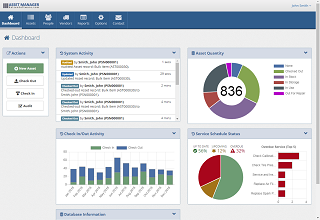 Check in or out assets from or to your team; manage service schedules and completed service, track purchases, asset history, and more. There's no software to install. Just open your web browser to login and begin using it right away. Access from your computer or tablet wherever you are - in the office, shop, warehouse, or on-the-go. We keep the servers and application up to date so you don't have to. Set up your Free Trial and start tracking your assets right away.